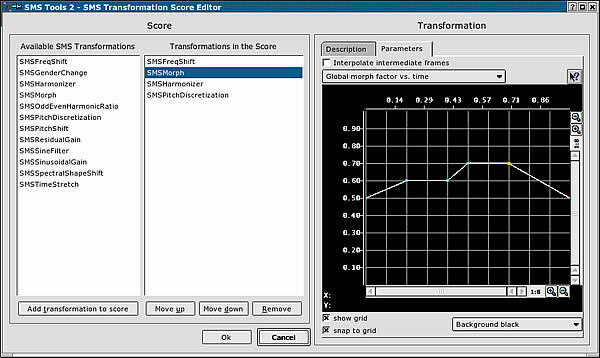 Don't miss the development screenshots in the wiki --probably more interesting than the screenshots above which quickly get old. 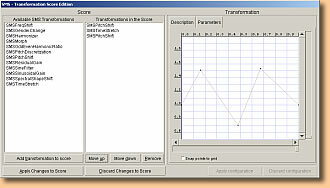 Everytime we implement any new interface feature we post it there. 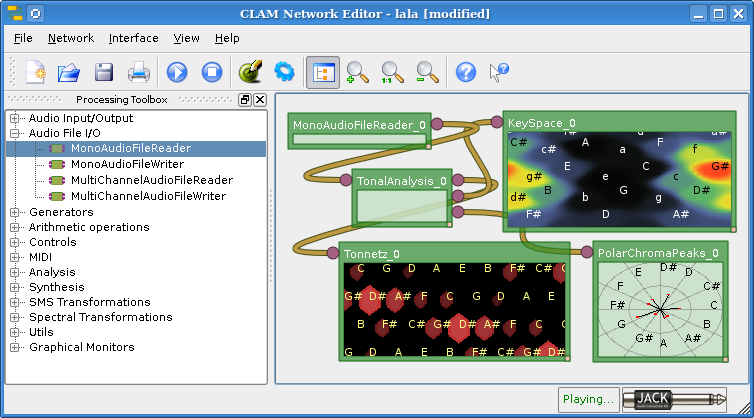 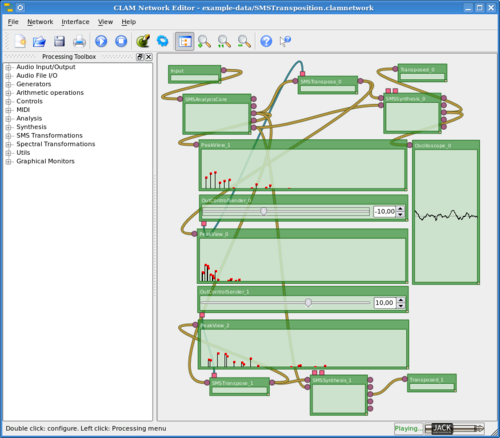 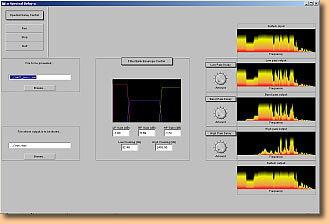 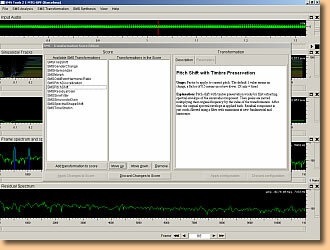 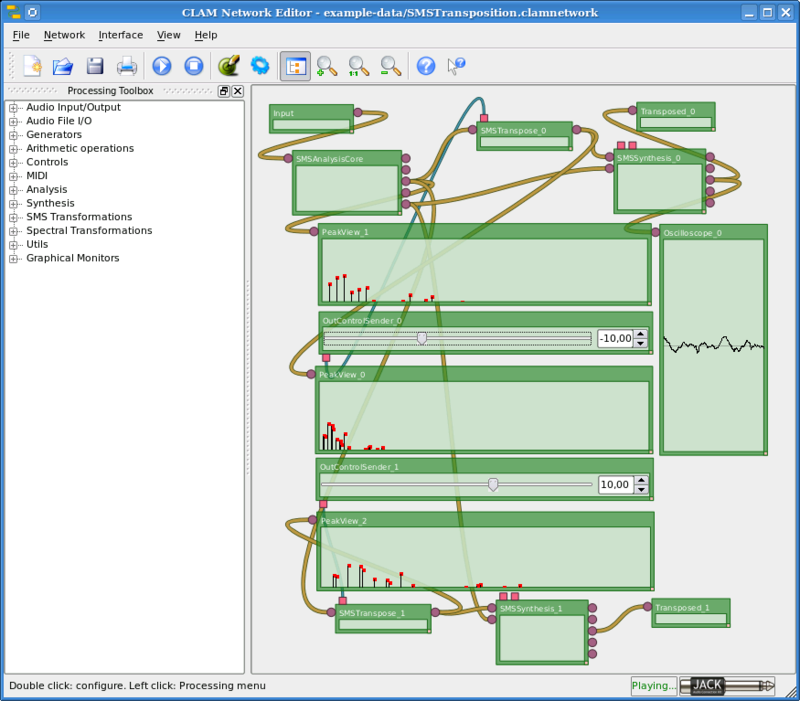 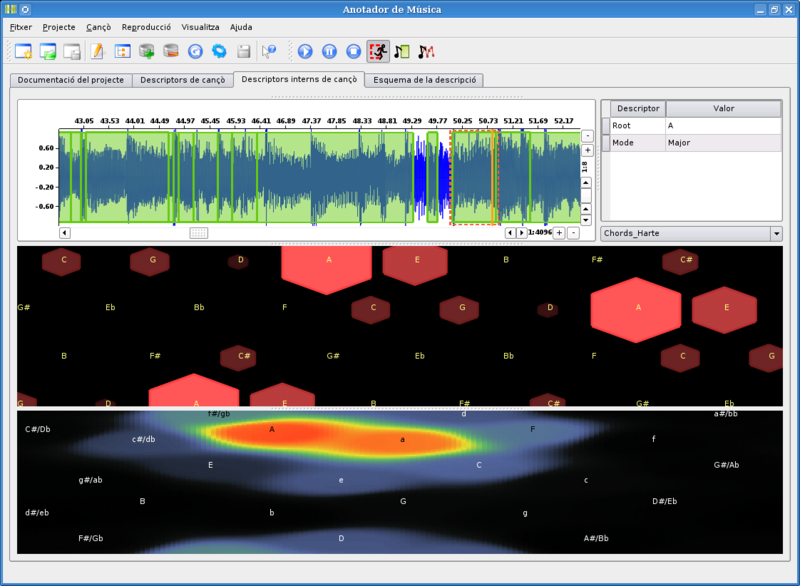 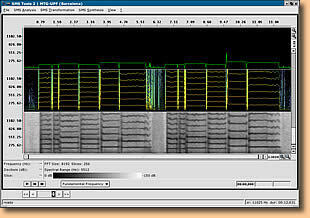 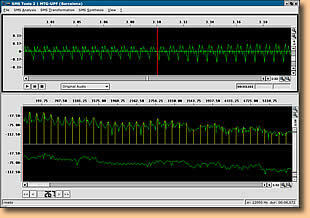 The Network Editor is the application for editing CLAM networks. 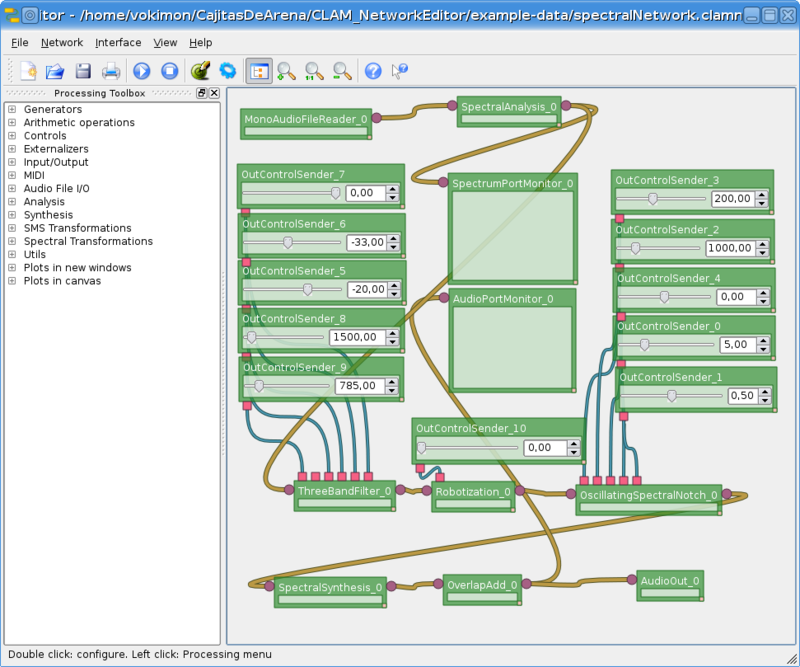 With this tool you can create complex processing procedures by just selecting CLAM Processing objects from the list on the left and connecting them in the canvas. 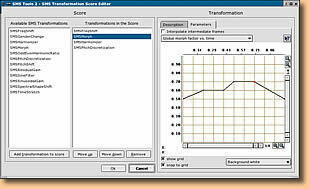 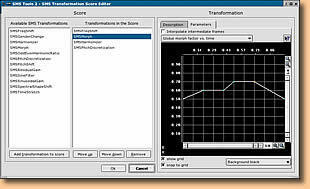 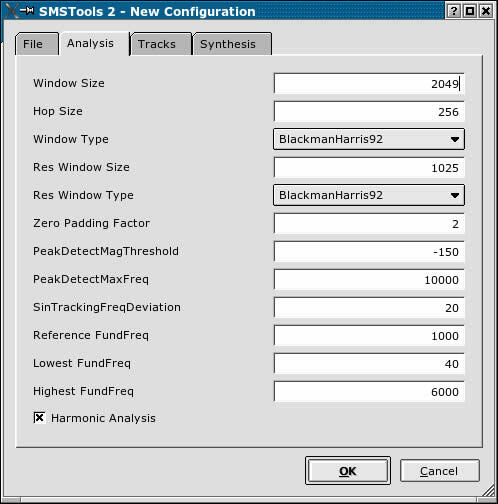 SMS analysis, synthesis and transformations are available on the network editor. 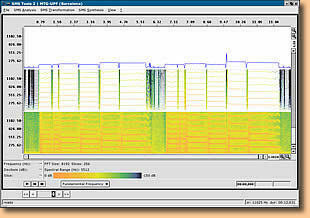 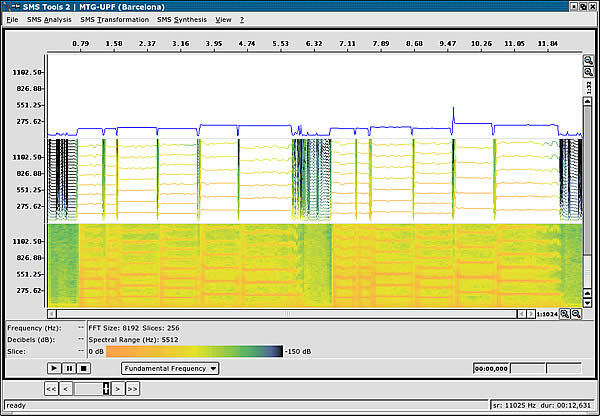 You can monitor data coming thru an outport by connecting PortMonitor processings. 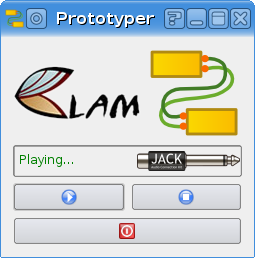 The prototyper is a tool that allows to build a graphical interface without any coding just by defining the CLAM network with the NetworkEditor and the interface with QtDesigner. 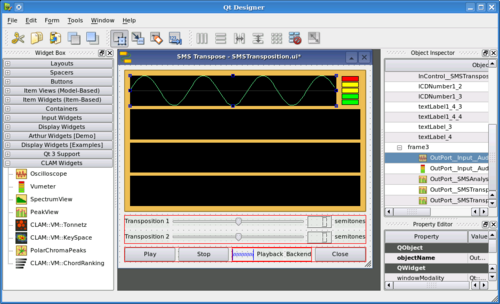 A plugin adds some CLAM specific widgets for QtDesigner. 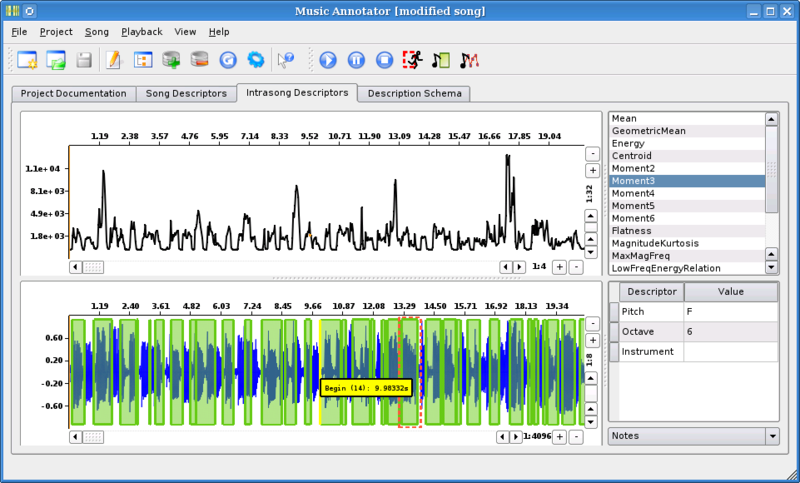 The CLAM Annotator is useful to supervise and correct feature extraction algorithms and to provide manually edited annotations as learning example or as ground truth. 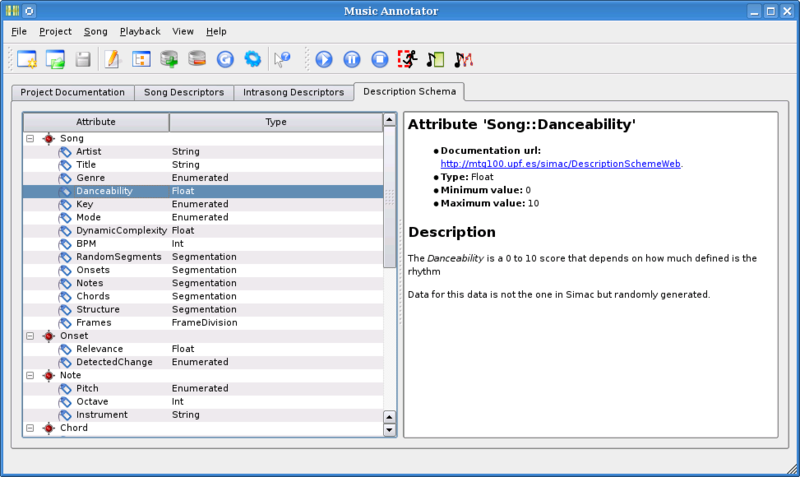 Its interface adapts to user defined XML description schemes and it provides syncronized aural feedback for the annotations. 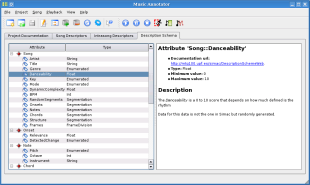 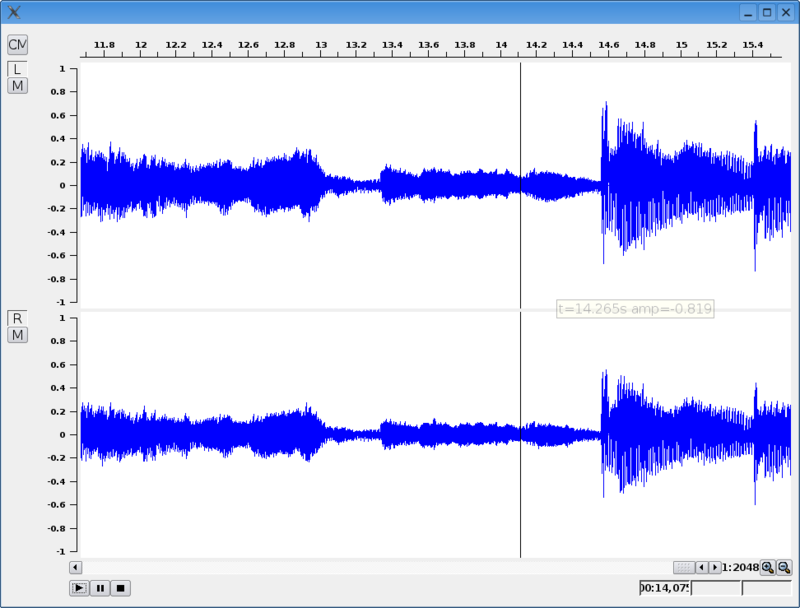 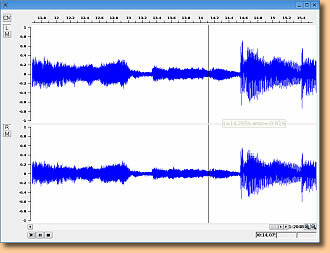 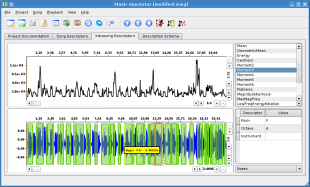 Learn more about Music Annotator in its wiki page. 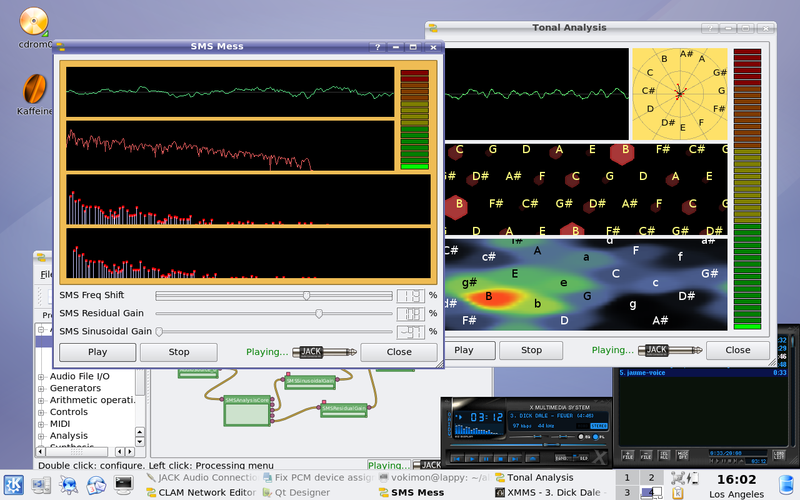 Or visit its extensive screenshots and videos gallery. 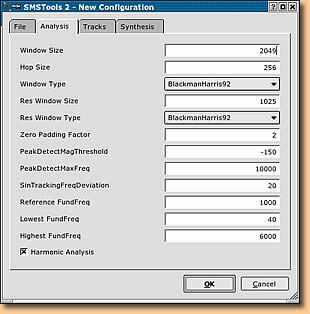 Qt implementation of the previous SMS Application, using the fltk library. 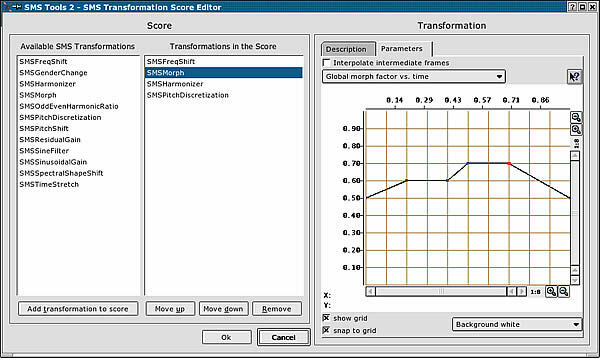 As for release 0.90 it is strongly recommended that you use this version unless you encounter some unsolvable problem for not using qt. 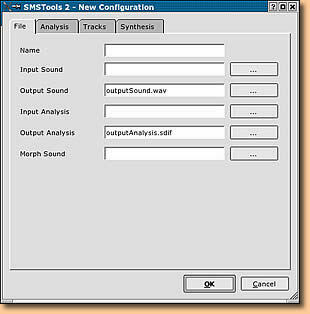 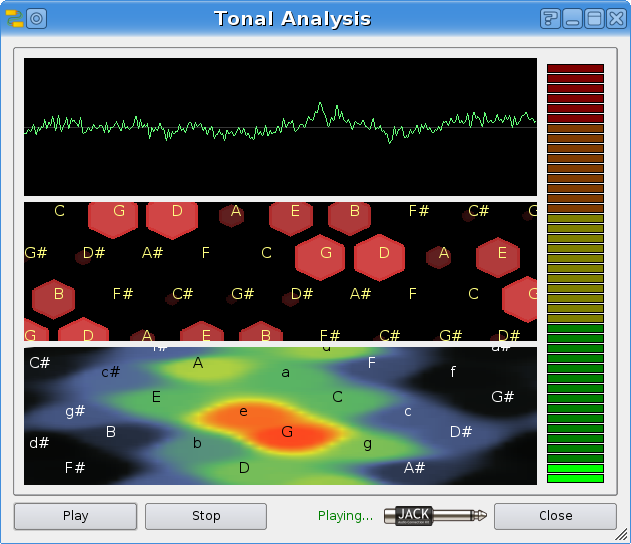 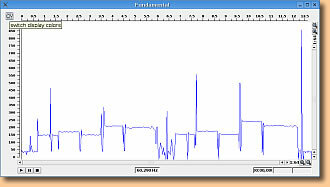 Application for analyzing, transforming and synthesizing a sound. 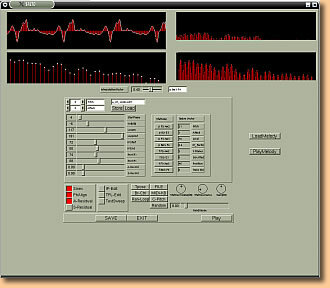 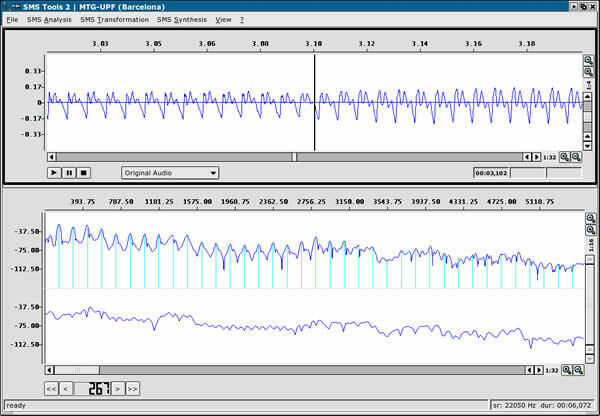 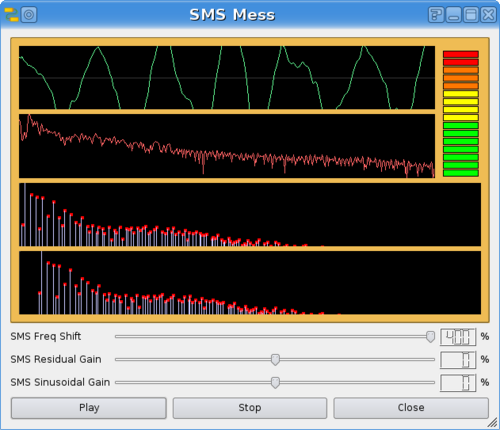 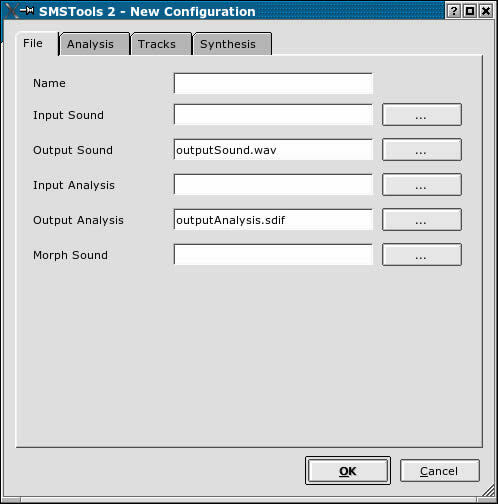 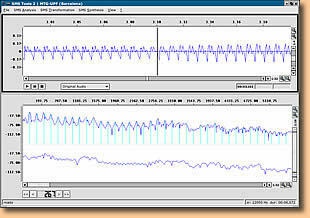 An SMS-based real-time saxophone synthesizer. 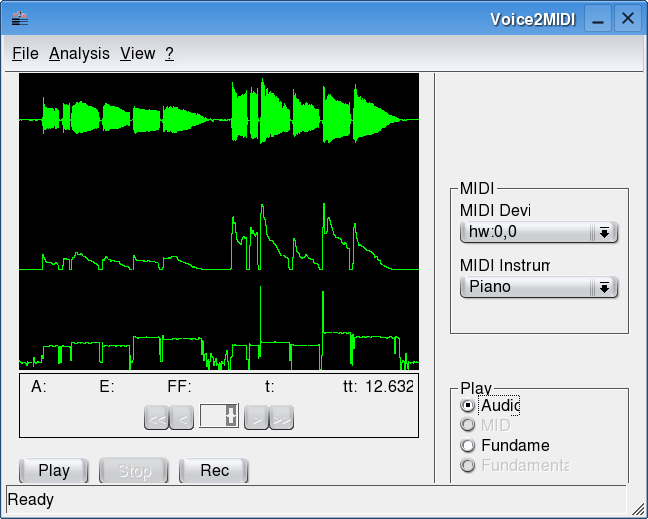 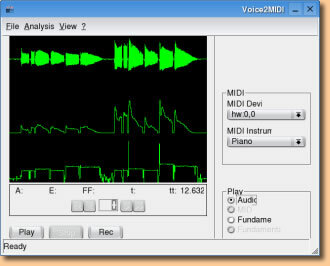 An application to generate MIDI files from singing voice. 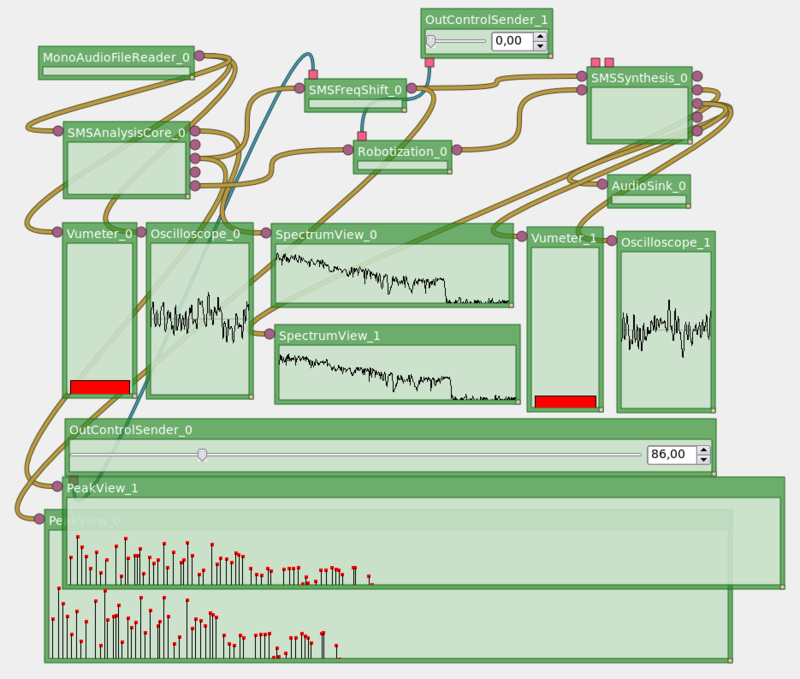 Quick debugging aids for visualizing runtime data. Also can be integrated as widgets in your Qt applications. 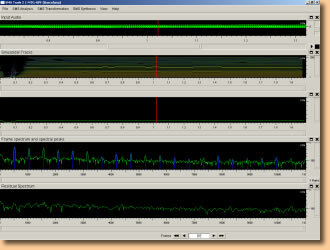 A simple FLTK application to read and visualize standard SDIF files. 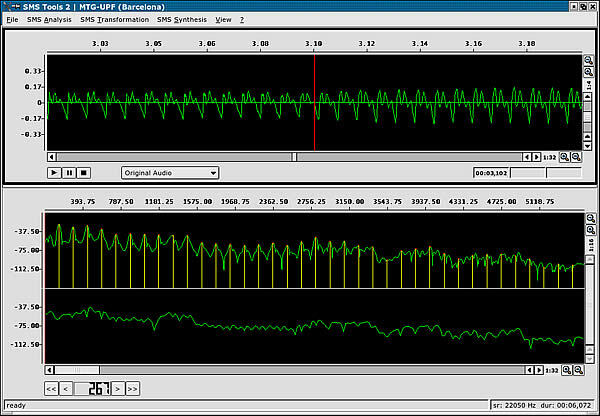 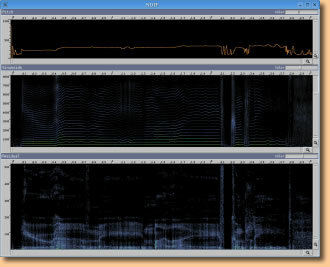 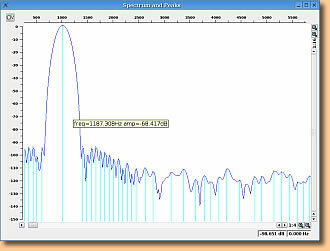 Application for delaying three spectral bands of an input sound on real-time.